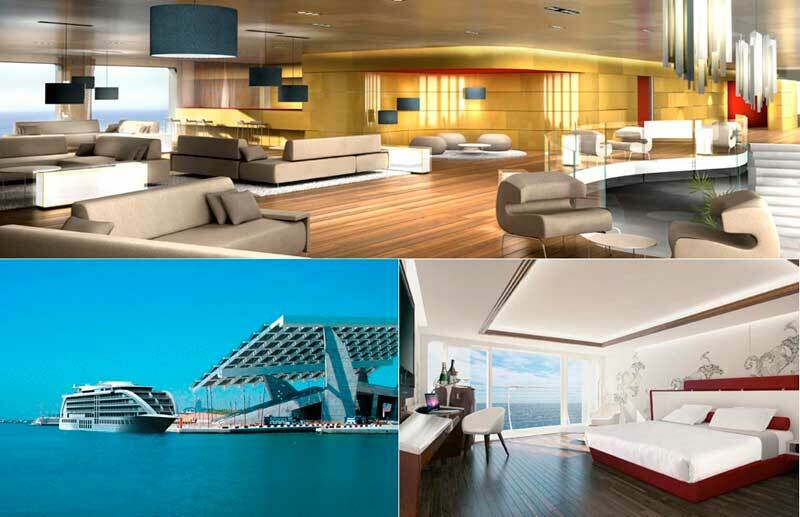 Gibraltar is preparing to welcome a magnificent floating Superyacht Hotel offering 5 star plus facilities not currently available on the Rock. The one hundred and forty metre vessel, which boasts over 189 bedrooms and suites and rises to seven deck levels, will be attached to the dockside by mooring arms designed to hold the yacht in a fixed position adjacent to Leisure Island at Ocean Village. 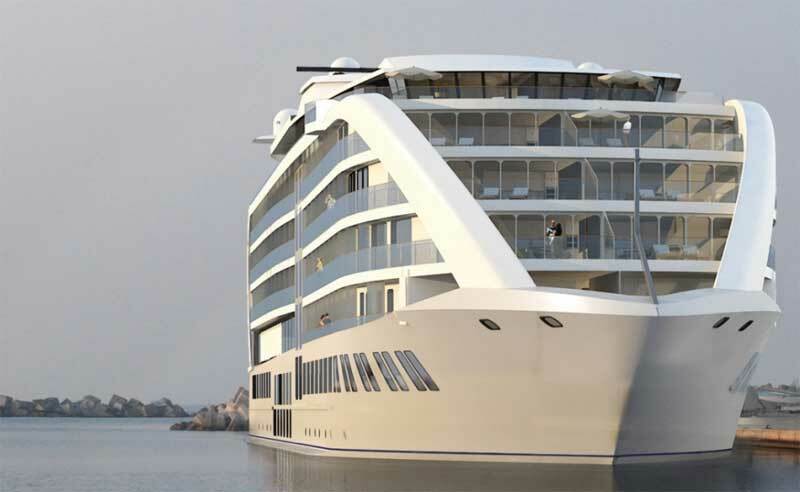 The Yacht Hotel, to be called Sunborn Gibraltar, has been built and will be operated by the privately owned Finland based company Sunborn with over 40 years of experience in the hotel and hospitality business and who pioneered the floating hotel concept. The group operates hotels, restaurants, spa resorts and yacht hotels in Finland and Germany and has ongoing development projects in Denmark, England and Spain. The project is being developed with the full backing of the Gibraltar Government although it remains subject to the Gibraltar planning process after which, if successful, will provide a unique resource of first-class accommodation, conferencing and hospitality facilities, a casino, panoramic restaurant with sun terraces, outdoor bar and entertainment spaces. It is expected that the project will create more than 150 new jobs. It should also provide opportunities for businesses in the local supply chain to benefit. Minister for Tourism Neil Costa said that the arrival of Sunborn Gibraltar signals a significant addition to the hospitality offering on the Rock saying that it will serve the growing demand for luxury hotel and convention facilities. 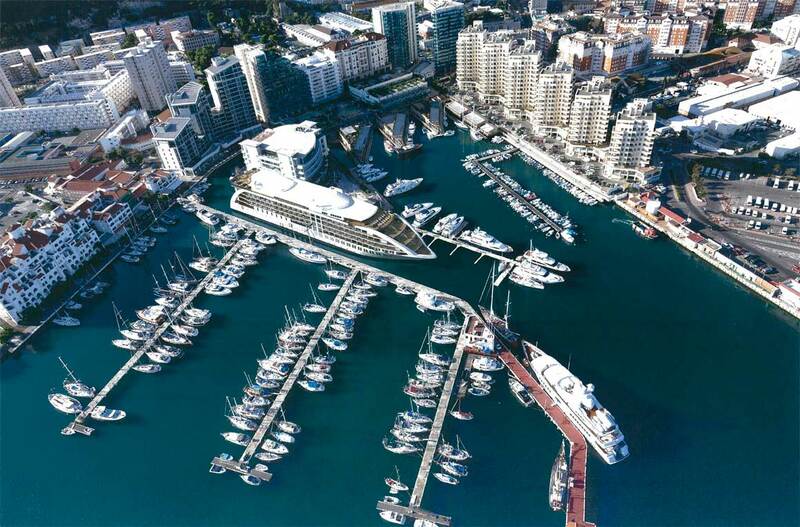 “We are delighted that Sunborn has chosen Gibraltar for their 5-star plus project. Sunborn has a proven track record in creating successful hotel operations. 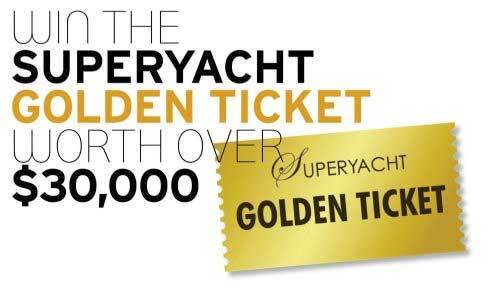 The yacht hotel will create many jobs locally, and we believe it will become an icon and attraction for Gibraltar,” he added. Brian Stevendale, the newly appointed CEO of Sunborn who has in recent years headed up the Ocean Village business operations, will lead the Sunborn Gibraltar project. “Gibraltar is enjoying unprecedented, sustained economic growth,” commented Mr Stevendale. “The arrival of Sunborn Gibraltar is another statement of the recognition Gibraltar deserves for all that has been achieved in recent years. Sunborn have confirmed that the Yacht Hotel meets the high environmental EU standards as a European Green Building with a zero discharge and emission policy and that the vessel will not be using engines or generators while in mooring. “I’m delighted to be involved in the project and believe that Sunborn Gibraltar will only strengthen the cachet of Gibraltar, leave no environmental footprint, create many jobs in the community and will become an iconic feature in our already impressive skyline.” said Mr Stevendale.